Domestic construction advice is one of the services offered by Richmond Thermal Solutions. Domestic construction advice is one of many services offered by Richmond Thermal Solutions. 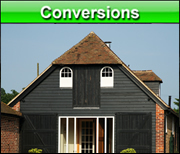 RTS offers domestic construction advice for extensions, conversions, new builds and more. We pride ourselves in being as helpful as we possibly can when it comes to domestic construction advice. Whether you are the designer, client or contractor, and have questions about your scheme, we are more than happy to help. RTS’s director, John Young, worked previously as a building control officer, and is therefore fully up to speed with construction legislation. The RTS team works closely with building control bodies, which we find invaluable when researching advice on proposed schemes. RTS will liaise with building control on your behalf when undertaking a project. Building control should also be contacted to undertake inspections of work such as joists, electrics, roof structure, insulation and pre-plaster. Pre-plaster is an ideal time to make sure everything is to specification and all holes and cracks are sealed. This will be of great help should an air test be required. Please contact us if you have any questions regarding domestic construction advice.